The majority of my clients are happy to share their journey it is always anonymous. Here are a few to give some insight into their individual journey through change. I came to see Helen after a difficult break and very confused about what I wanted from life and feeling pretty down. We focused very much on me and I found this to be the first time I had taken that approach. ……….. I now feel ready to live my life! And excited about the future. Thank you so much! Our daughter has struggled with anxiety challenges which have affected her in a number of ways. Helen has been able to identify the triggers and provide her with a range of coping mechanisms. ……. We have noticed a real change in her and she is now able to face those challenges and use her coping mechanisms to reduce the impact. I first approached Helen when I reached a new low point following years and years of suffering from social anxiety (+20 years). ……..At first I thought I would need to be glued to Helen for ever more through fear of negative thoughts returning. After 3 or 4 sessions Helen provided me the tool kit to conduct my own hypnotherapy including MP3’s. Other techniques such as “tapping” proved very simple yet effective. Anxiety still enters my life but I remember vividly how Helen told me how “they’re just thoughts”. If you can change the way you think, you can change your life. I did. Thank you Helen. Everyone could benefit from speaking to Helen! Helen’s use of hypnotherapy and cognitive behavioural therapy helped me make huge changes in my life. ……I now have a lifetime of great things to look forward to and I owe it all to Helen who put me on the right path to achieve those goals. I would just like to thank Helen for her services, having experienced anxiety and problems with sleep for a number of months I contacted Helen to see if some of her techniques could help. …… I would thoroughly recommend Helen to anybody going through any type change in their life, where they feel apprehensive, as she really helped me reset my thinking and helped me take many, many positive tools forward in everyday life, as well as helping with those that are more challenging. I think everybody should have a little hypnotherapy in their life – I see nothing but benefits! After years and many different attempts at trying to stop my binge eating and sugar addiction I decided to reach out to Helen to see if she might be able to help me with her techniques. …….I am so pleased I took the steps to contact Helen and with her help finally make the changes that have needed to happen for so long. I feel more in control of myself than I have for years. I am now able to look at my choices in a different way and make the right decisions for me. I am feeling so positive about my future now. Thank you Helen. I am a woman in my early 50’s and I came to see Helen as I felt that I had lost myself and my confidence and was surrounded by negativity. I am an avid horse rider and have lost my confidence and happiness. …….It has been fantastic, I did do all the homework and continue to listen to the downloads, but I am enjoying my sport again and I am taking back some time for me. I am still a work in progress (I don’t think that ever changes) but working with Helen gave me the tools to move forward with confidence. If you are prepared to rollup your sleeves and do some work, you will get great results. Taking a deep breath and making the call to Helen was one of the best decisions I have ever made. My sessions with her have been like a crash course in ‘karate for the mind’ - I have a complete armoury of strategies, skills, techniques & practical suggestions to use in the whole range of situations/scenarios I struggle with, sometimes on a daily basis. This investment in myself was completely worth it and necessary, and I am excited to see what the future brings now with this new perspective I have. Many thanks Helen for helping me take the first steps on this journey. 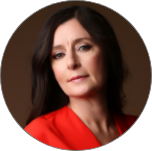 I would recommend working with Helen; ……… I wanted to improve my performance when making presentations and Helen enabled me to understand how to feel calm and confident in any situation with a combination of simple and effective tools to use whenever I feel the need. Thanks very much for all your help, I really appreciated it. I came to Helen with 15 years of anxiety, which had recently turned into severe panic attacks. I was stressed out, anxious, with very little hope for the future. After the initial 90 minute session, I walked away feeling more relaxed than I had in years. I felt hopeful and optimistic, and I look very much forward to future sessions with her. Having being diagnosed with depression, I had the medical help I needed, but I knew that I needed more than that to make the necessary changes in my life to avoid going back to that place. Helen has worked closely with me to understand my situation and some very big life changes. I now have a pathway for moving forward in a calm, relaxed and confident way, in all aspects of my life. Using a combination of methods including hypnosis and mindfulness, I have a toolbox of techniques to draw on to help me deal with personal challenges. It’s an incredible feeling to invest some time in yourself, and to use the different methods that Helen teaches you to look to the future with growing clarity and positivity. I have started a new job and my new colleagues have met a happy and relaxed me. There is more work to do, and Helen ensures that there is an agreed path towards future goals to ensure that you can be yourself again, and flourish. Thank you for your help and support during the Hypnodieting programme and beyond. I would recommend your sessions to anyone who is struggling with their eating patterns and also the emotional roller coaster that is life. I feel so much better in every way and I am looking forward to all the exciting things I have planned. It didn’t take long for me to feel very comfortable working with Helen. Her gentle style and open approach meant that I was able to discuss my situation and reflect on my life with ease. It has certainly helped with my own self awareness and confidence in myself and I feel better equipped now going forward. Helen’s approach was really helpful in enabling me to develop understanding of my own barriers and challenges around losing weight. Her sessions were enjoyable and positive in helping me to make some lifestyle changes that will support me to be healthier. I just wanted to drop you a message to say that my sleep pattern has improved dramatically since our sessions together. I am now less apprehensive about going to bed and I have seen very positive results since I have started working with Helen. I came feeling slightly anxious and after making the decision to sign up for several sessions of hypnotherapy I can honestly say I have been amazed at the difference it has and is continuing to make to my life and my ability to engage socially! I like Helen’s relaxed but very confident style and I would definitely recommend her. I have also found some other things that I wanted to work on which is always a good thing, and now have the tools to support me with this. Thank you for an insight into how easy it is to learn to relax more using mindfulness it was so very helpful! I have been going through a very stressful time and I now feel better able to cope with things! I have worked with Helen for the last few months covering various anxiety related issues. Helen made me feel very comfortable and quickly identified those areas to specifically work on. She is always there too to answer my questions when I additionally have other concerns outside the session times by email or telephone thank you! Having never visited any sort of counsellor, therapist or life coach my apprehension in doing so was great. Like many perhaps, I sort this help at a difficult time in my life. Having gone from being previously confident and out-going, after the collapse of a relationship spanning 7 years I was suddenly without the person I had grown up with and entered my twenties with. Losing this relationship felt like losing all security, and everything I’d known. My confidence was lost, and I had no idea who I was alone. What followed were panic and anxiety attacks, something that I previously had never experienced coupled with weight loss and insomnia. I was shocked at the profound effect my emotions had over my general well being. Helen was recommended to me through someone very close. I can without a doubt say it was one of the best decisions I have made. Taking an hour every week to focus on myself has been greatly beneficial. Helens approach is kind, caring, empathetic and professional. I have learnt many skills and techniques to use in my everyday life to help me now and in the future, perhaps the most important one, to have more compassion for myself. I have been able to locate and understand the areas which have been causing me issues. Once we were able to locate these areas, Helen showed me techniques to work on both with her, and by myself to help combat target areas. My confidence has grown because I’ve been able to open up and understand that I’m not alone in feeling the way I do about certain things. ……. I’m really grateful for the help she has given me, particularly in such a short space of time. I will continue using the practices I have been taught, and after a few weeks I will assess how many more sessions I think I need.